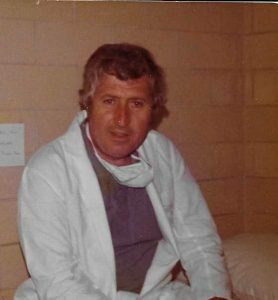 Dr. Donald McIntyre Patterson was born on February 7th, 1930 in London, Ontario. He was the youngest of 4 children born to Duncan and Mary Jane Patterson. Dr. Patterson attended Wortley Road Public School and London South Collegiate High School. He graduated from the University of Western Ontario in 1954. Dr. Patterson interned at Mount Carmel Mercy Hospital in Detroit, Michigan from 1954 until 1955. He trained in general surgery at Mount Carmel Mercy Hospital from 1955 to 1959. Dr. Patterson opened a practice in general surgery in Chatham in 1959. This practice was located at 286 King Street. In 1972, Dr. Pat Allen joined Dr. Patterson’s practice and they re-located the practice to 39 Grand Ave. W., in Chatham. Dr. Patterson served as Chief of Surgery at St. Joseph’s Hospital for 25 years. He served as the Team Doctor for the Chatham Jr. Maroons for 25 years, from 1970 to 1995. Dr. Patterson was the President of the Kent County Medical Society in 1980. Dr. Patterson met his wife, while doing his training at Mount Carmel Mercy Hospital. Denise “Denny” Renier was completing her R.N. training at the same time. Mrs. Patterson was raised in Allen Park, Michigan. Dr. and Mrs. Patterson were married on the 4th of July, 1958. They are the parents of 5 children; Mary Jane, Scott, David, Michael and Timothy. Dr. Patterson retired from his general surgery practice in 1999. He continued to work at a clinic until 2010. For many years, Dr. Patterson volunteered for the Chatham-Kent Health Alliance Foundation. He continues to organize golf events for the foundation. Dr. and Mrs. Patterson both enjoy spending time with their family and they enjoy playing golf. 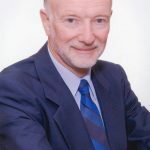 *Dr. Pat Allen also appears on the Chatham-Kent Physician Tribute website.